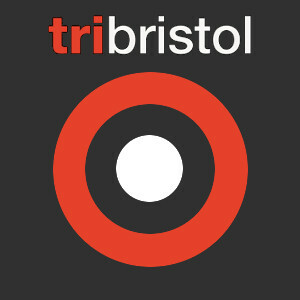 The BAD Tri team are here to ensure the club develops and delivers the right training and support for its members. But being such a developing club, the huge array of tasks just keeps growing, so if you would like to help, especially in leading training rides/runs please shout. Your help is appreciated. 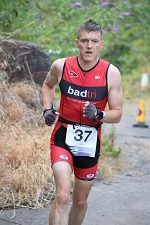 The team consists of a mix of experienced and novice triathletes, both male and female. This ensures the club meets the needs of members of all abilities. 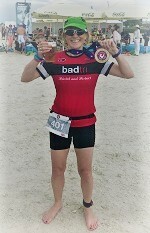 If you have an email for any of the BADTri team please visit our contact us page. Caroline prefers middle distance events and says it’s all about having fun in the sun with friends. Often heard shouting - at anyone who can be bothered to listen - ‘remind me why I entered this race!’ (often with expletives) but recovers well afterwards! 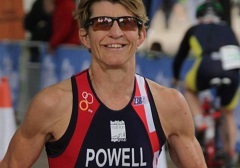 Wendy competes in all sorts of races, but having had two junior Browns has put paid to any plans to take over the world triathlon scene. 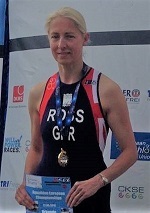 Her first triathlon was completed slowly on a ropy mountain bike. Since then she has become speedier by upgrading to a trusty road steed. Professionally she's a legal Beagle. She also eats lots of cake and can burp the alphabet. Kate has to dust off her bike every once in a while, but in the meantime she kicks **** in the pool. She's a stockbroker by day, but also helps us out by coaching for the club and being our secretary. Russell was a late starter when it came to sports, avoiding exercise until his mid-twenties. Once he started, he was hooked and within 5 years of his first 10K he took an extended work break to travel the world training and racing. 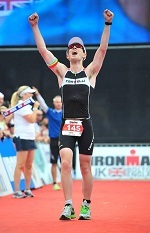 Eighteen Ironmans later, including a couple of trips to Kona, Russell returned home determined never to work in an office again. 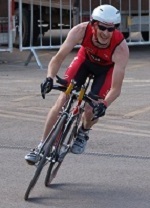 Since then he's built a career in coaching helping many age groupers to achieve their racing goals. It's rare you'll find Russell in the pool now, but he spends a few hours a week coaching from the side and producing detailed videos for his swim analysis sessions. 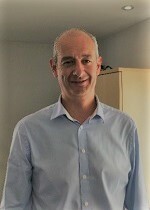 James is the head honcho of the Bristol branch of Rathbones, so we totally trust that he knows how to look after our finances. He is also a black belt. Don't mess with him. Hans-Peter ("HP") came to triathlon in his early forties. HP is passionate about triathlon, but unfortunately he is full of spare parts, which limits his somewhat deluded ambition to become a world champion. 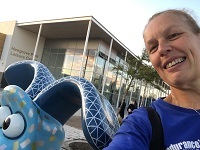 As Membership Secretary, HP is the face behind many of the Club's email accounts and is responsible for fielding questions from potential, new and long-standing members. HP keeps a watchful eye on the message board to make sure everyone is behaving themselves and following the rules about advertising. HP is a member of both the senior and junior coaching teams. You will either find him on poolside or leading BADTri's bike rides on Saturdays. Some say he is more interested in eating cake and drinking cappuccino, as his bike rides always include some form of café stop. David spends most of his spare time tinkering with our somewhat ageing website. You need to have the powers of Slartibartfast for this, as it is as cumbersome as putting the wrinkles into Norway. Any technical problems with the website please use the contact us page. Scott is our media man. If something is happening in our club, he's the one to bring the event to the masses. Scott usually knows what's going on in our club before the rest of the committee has even thought of it. Well, it is his job, as when he is not doing something for the club, you will find him on the telly reporting on all manner of things in and around Bristol. Scott has a degree in Sports Science, so is quite meticulous about his training. His preferred distance is the half-Ironman. He seems to set himself a new challenge every year. 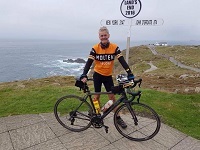 Chris is an accomplished Ironman and looks after developing our club's athletes by organising challenges and encouraging members to compete in them. Chris is an actuary in his other life, so does everything by numbers. If you ask him nicely, he might even quote Pi backwards for you. Maria has been coaching our junior members for many years. When she is not buzzing around the world collecting medals at prestigious triathlon, aquathlon or aquabike events, she looks after the welfare of BADTri members.